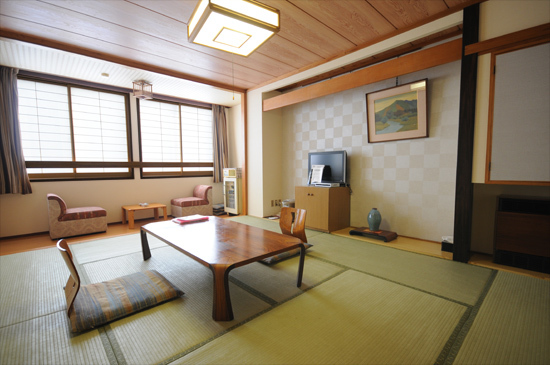 Kaminoyama Onsen’s long-operating Japanese-style inn, established in 1921. 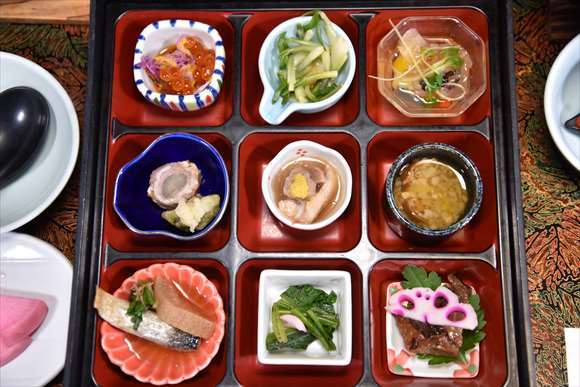 You can also enjoy a walk around the nearby Kaminoyama Castle and bukeyashiki (samurai residence). 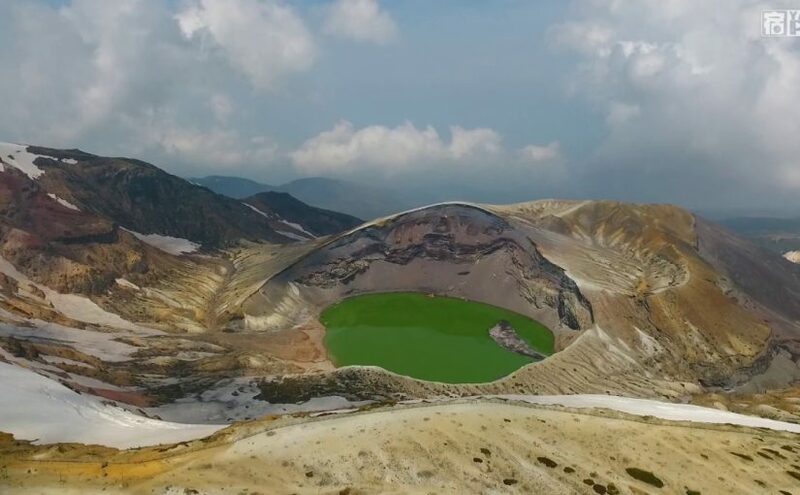 The hot spring is a saline spring that includes a small amount of gysum, and is famous for being warming and skin-beautifying. 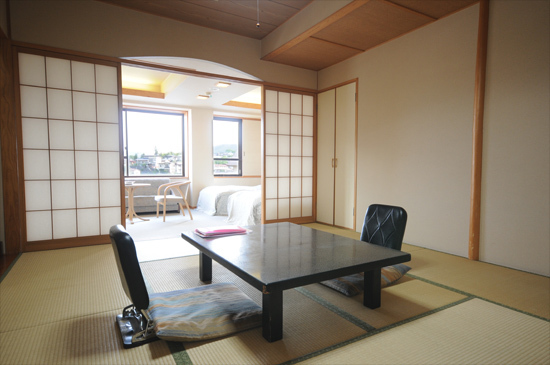 The open-air onsen above the room will turn private, with a private onsen made in the mold of Pamukkale in Turkey, e world heritage site, making for a unique set on hot springs. 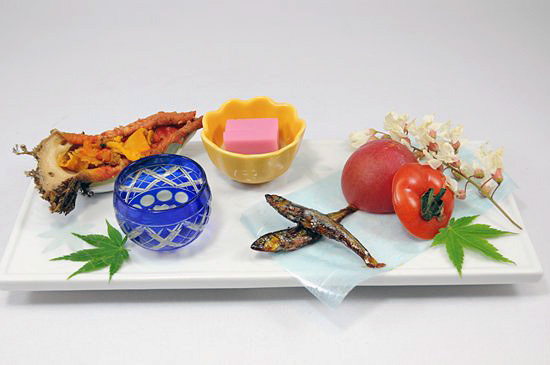 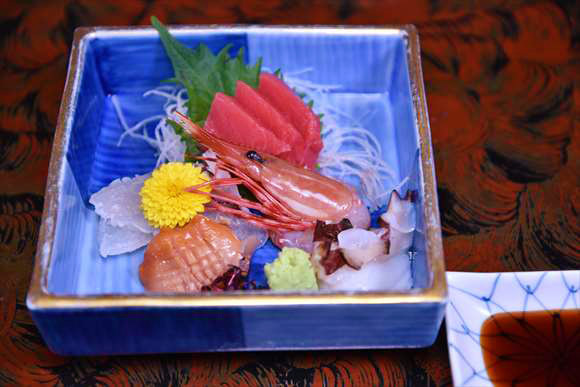 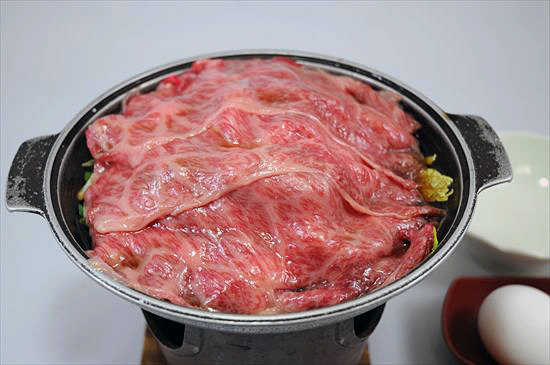 Popular and well-regarded cuisine, made from local ingredients such as imoni, Yamagata beef, etc. 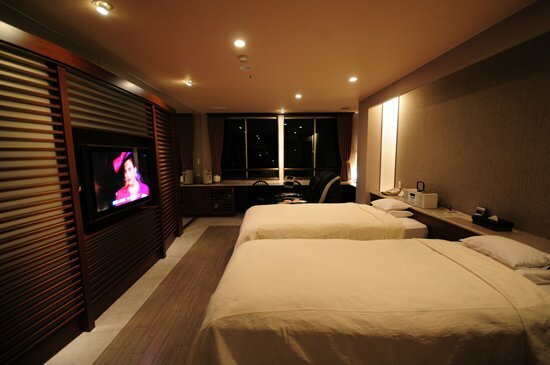 The well-equipped Japanese-modern suite can also be used for anniversaries. 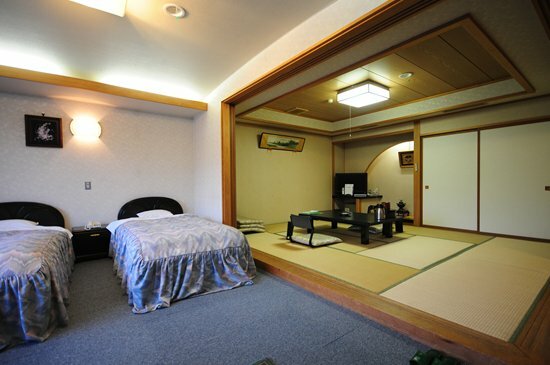 Squarely in the ¥10,000 range, this onsen inn has excellent value for its cost.